With the constant flurry of activity between my boys and golden retriever, I can’t choose just any rugs for the high traffic areas of my home. I need durability but I also need the rugs to look nice. That’s why indoor-outdoor rugs work so well in my home. 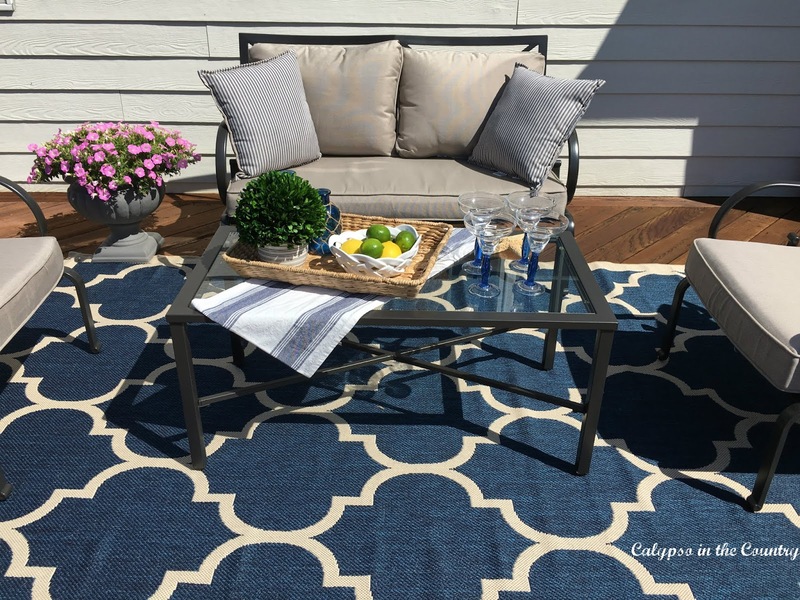 Luckily, there are so many beautiful styles available these days but do you ever wonder how well indoor-outdoor rugs hold up over time? Since I happen to have a bunch of them in my house, I will share how mine have survived with my busy family. Please note that this post contains some affiliate links and I will receive a small commission if you make a purchase after clicking my links (at no additional cost to you). I have had this rug the longest. It sat under my kitchen table for years and then we moved it to the family room. 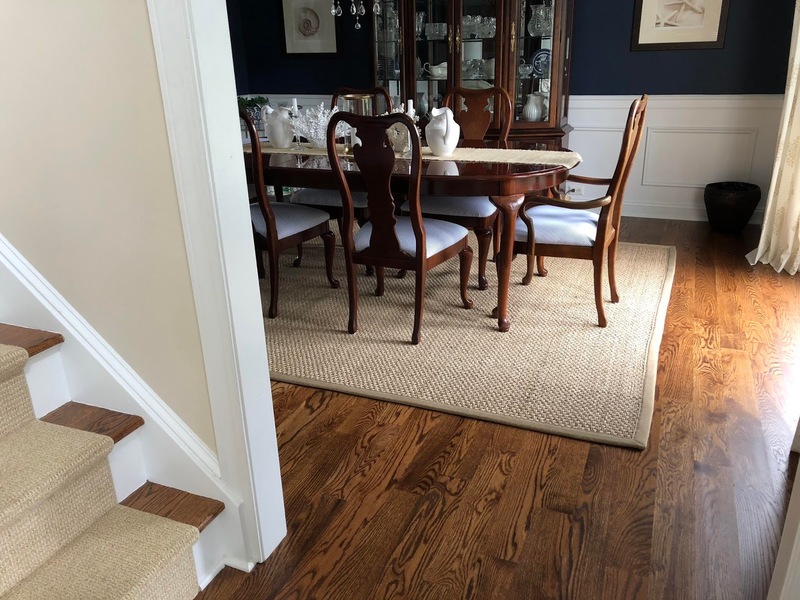 At that time, we had done a downstairs renovation which included replacing the tile and carpet with hardwood floors. I felt like I needed a temporary solution to warm up the family room so I moved the rug in there…and that’s where it’s been for the past 3 years. Ideally, I want to find something larger and softer because my kids still lounge around on the floor when they watch TV but I guess I haven’t made it a priority. How It Has Held Up: Amazingly well for all the time we have owned it. We had some snags in the rug when it was still in the kitchen because we didn’t realize a nail was sticking out of the bottom of our kitchen chair. Every time we moved the chair, it would get caught on the rug until we realized it. That wasn’t the rug’s fault though. Would I Buy It Again? : Absolutely! Too bad this exact one is no longer available! Where It is Located: Back Hallway where we walk through on our way to the garage, my office and the laundry room. It’s probably the most walked through space in the entire house. How It Has Held Up: Perfectly! Would I Buy It Again? : Absolutely!! No question! This rug still looks brand new. 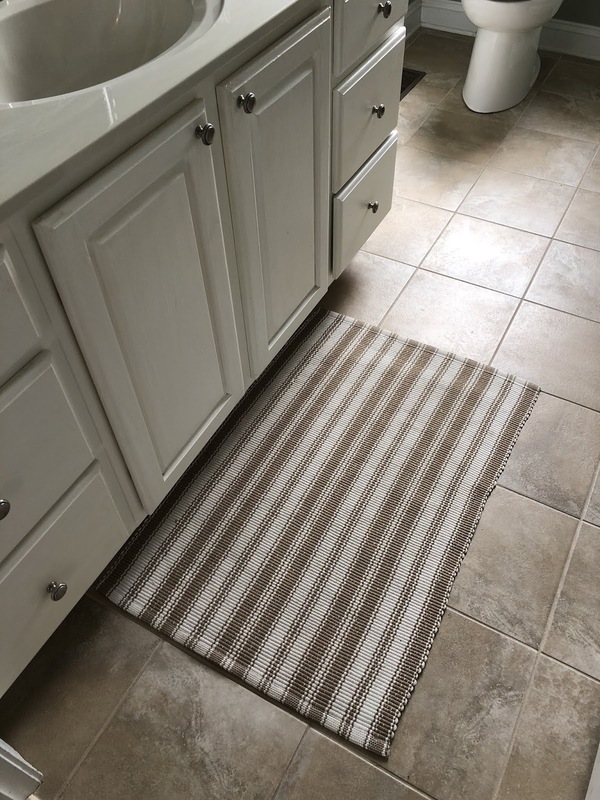 Unfortunately this one is also discontinued but The Beaufort Rug looks similar and I am assuming all the Ballard outdoor rugs are made the same. After all, I have had great experiences with both of mine. How It Has Held Up: Beautifully! This rug takes a beating since I am in my office all the time moving my desk chair in and out. Rosie, my golden retriever also sleeps at my feet most of the day. There are a couple tiny areas that I need to spot clean but for 5 years of use, the rug looks amazing. It also doesn’t attract dog fur so Rosie can lay in there all day and the rug still looks freshly vacuumed. Would I Buy It Again? : Absolutely! Of course, this is another one that is discontinued but the Catamaran Stripe is very similar (with wider stripes). How cute are those feet? How It Has Held Up: Perfectly! We use this bathroom ALL the time. My kids brush their teeth in there before school and all our guests use this bathroom. There are no snags at all on the rug. It still looks new but the white stripes can get a little dingy between cleanings. It’s easy to clean though. In fact, I wrote a post about cleaning it – Cleaning My Dash and Albert Rug. I probably shouldn’t admit this, but I have also tried throwing it in the washing machine and it comes out great. I don’t think Dash and Albert recommends that method of cleaning but it has worked out fine for me! Would I Buy It Again? : Definitely! Of course, this color is discontinued but it’s still available in light blue. How It Has Held Up: Pretty well considering it has been completely exposed to all the elements. The color has faded a little but our deck does get full sun all day. 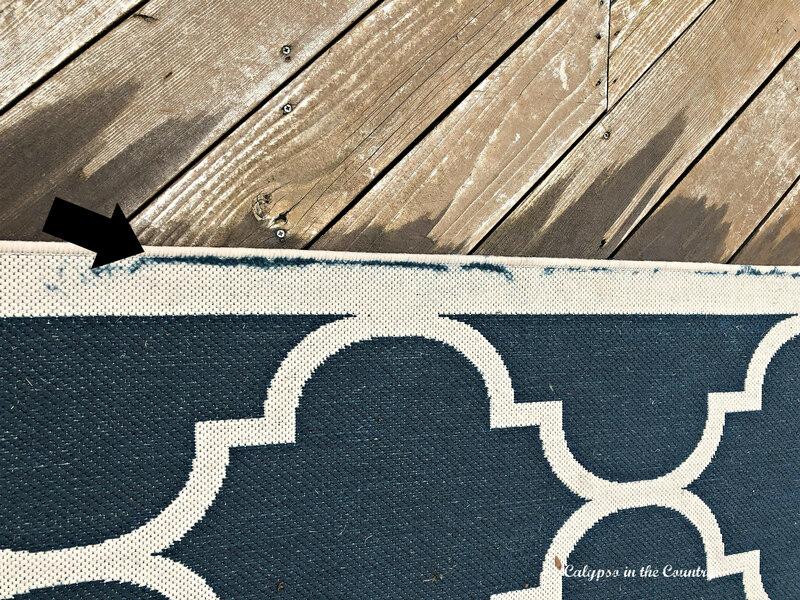 This summer we also noticed after it rains, some of the blue color in the rug bleeds to the outside edge. Would I Buy It Again? : Probably. It’s hard to compare this one to the others because this is the only one we actually use outdoors. 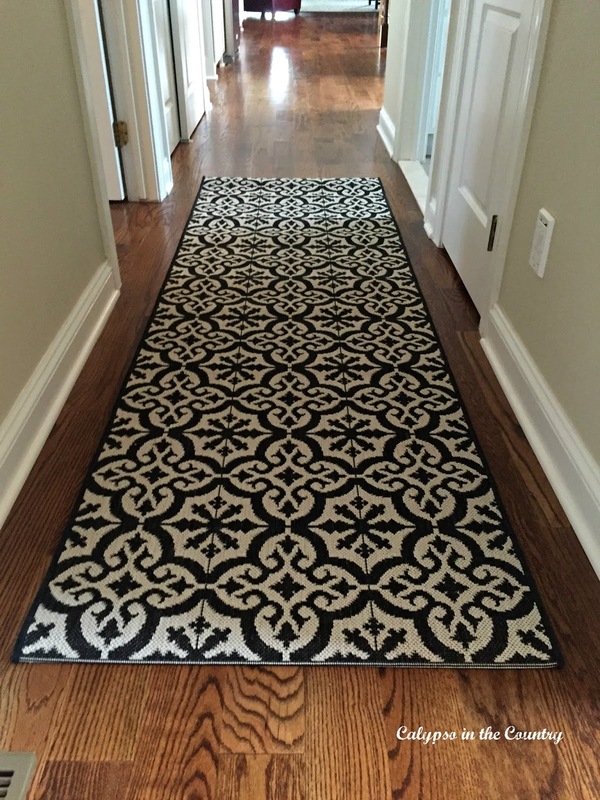 Plus, this rug was very reasonably priced which you have to take into consideration. I still love the look of it, though! The arrow above shows the bleeding color. Rug Name/Brand: Home Depot Home Decorators Collection Seascape Natural (please note that my rug is 8 x 10 but the link is currently showing just smaller sizes). How It Has Held Up: Great, of course it’s only been 4 months. Seagrass rugs have a greenish color and a grassy smell when they are new. Everyone told me the color would fade to a tan color and they were right. My rug doesn’t look greenish at all anymore. The color is now very similar to the runner on my stairs, which is synthetic in case you were wondering. (You can read all about that here – A Sisal Substitute for the Stairs). The grassy scent has mostly faded away too. When I walk through the dining room, I still detect a faint aroma but it just smells natural and kind of outdoorsy…nothing offensive. It did take me a few weeks to get used to the rough texture of seagrass. It’s not comfortable to walk on with bare feet but with socks it’s totally fine! Would I Buy It Again? : Absolutely! Since I bought it on sale, it was inexpensive to begin with. My plan is to keep it for a long time but if I ever get tired of it, I won’t feel like I invested a lot of money. I also love how the seagrass gives my traditional dining room a casual-coastal feel! 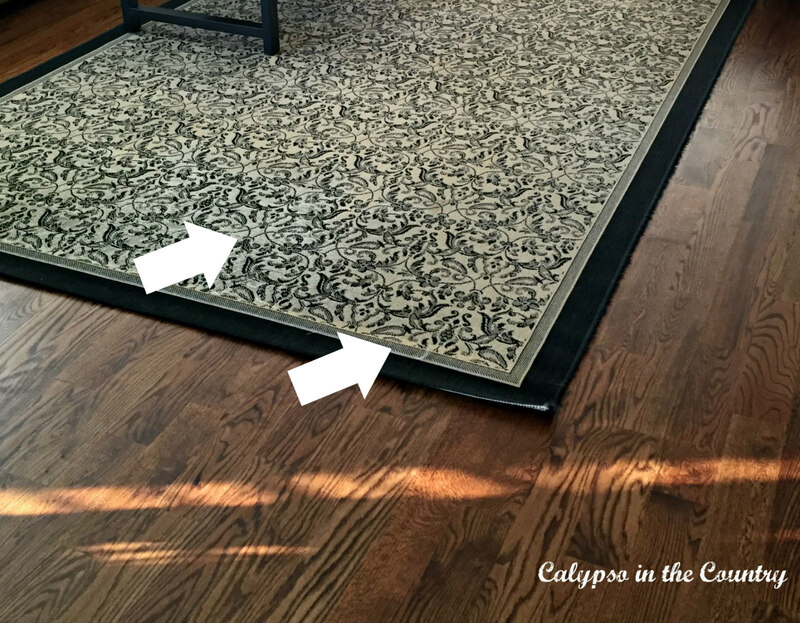 Overall, I have been very happy with the indoor-outdoor rugs in my home (and the new indoor seagrass rug). 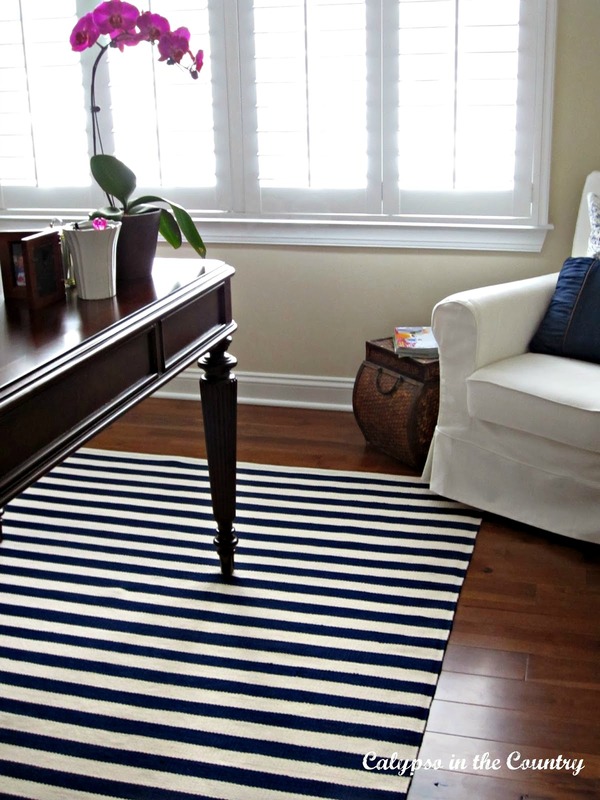 I hope my post was helpful to you if you are rug shopping! 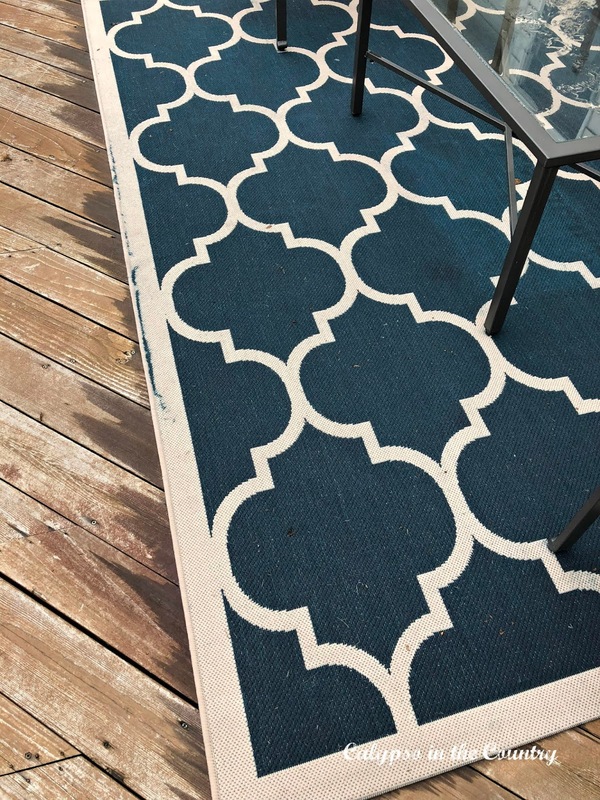 Do you have any indoor-outdoor rugs in your home? I love all of your rugs. I’m headed to Ballard to order the one you have in their back hallway. Have a great week, Shelley! Thanks! It doesn’t appear like that website has that one in stock anymore but there are a few that are similar. Enjoy your week as well! Shelley thank you for this post! I often recommend indoor/outdoor rugs when I do design consults and this will be excellent to give people an idea of how they hold up. They are great as stair runners too! I love your office one and I can’t believe that makeover was 5 years ago!! Thanks, Lisa! I really have been impressed with the ones I own. Yes, can you believe it’s been 5 years…where does the time go? I have two and both have held up admirably. One I bought from Ashley furniture to compliment the furniture in the family room and one I bought from Walmart. Love your’s! Thanks, Marie! I am glad to hear you’ve also had good luck with outdoor rugs in your home. There seems to be a great selection these days too! Thanks for stopping by! I love all of your rugs! 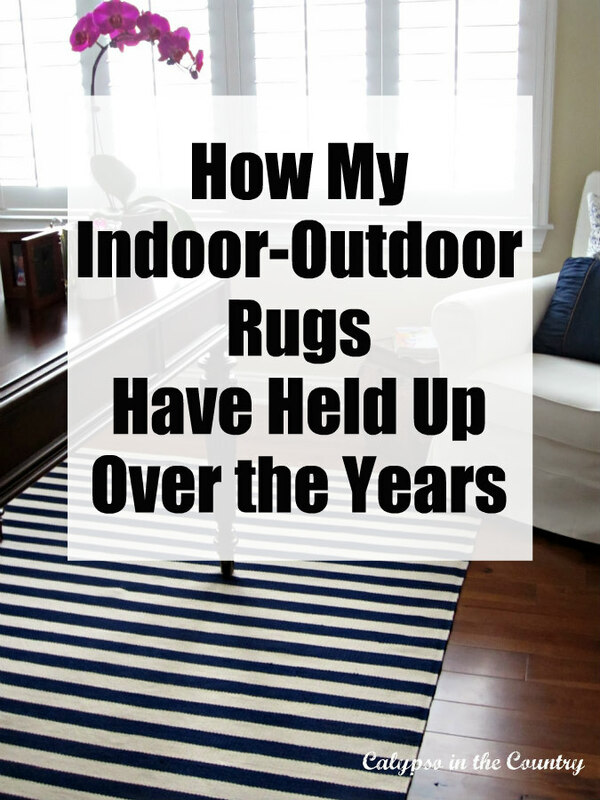 I’ve been skeptical of indoor/outdoor rugs before because I’ve gotten some not-so-comfy ones before. I’ll have to try out this brand!! 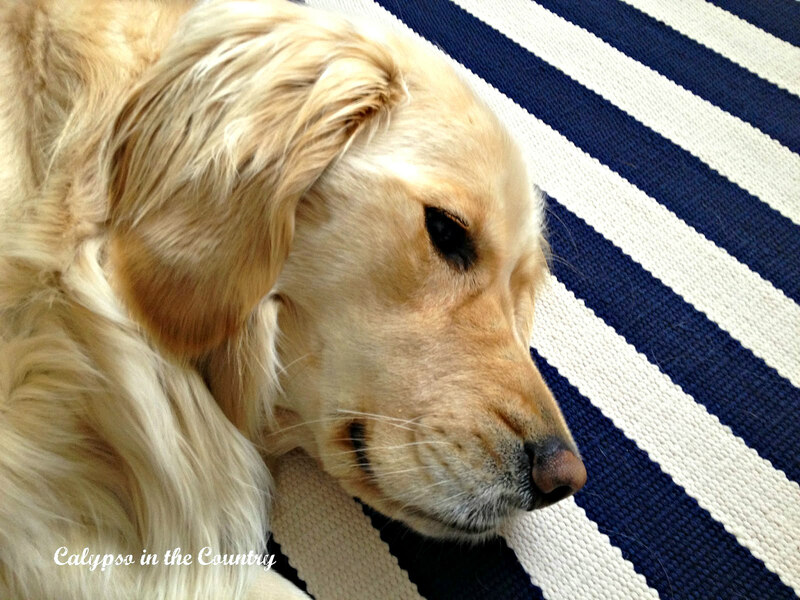 I have two dogs and two cats, so durable rugs are a MUST!! Thanks, Meredith! Yes, I have felt some of those uncomfortable ones before but luckily I have been happy with mine. The Dash and Albert ones especially, really feel like cotton. I hope my post helped you next time you are rug shopping! Thank you! Unfortunately, since I have had most of them so long, the exact ones are no longer available. 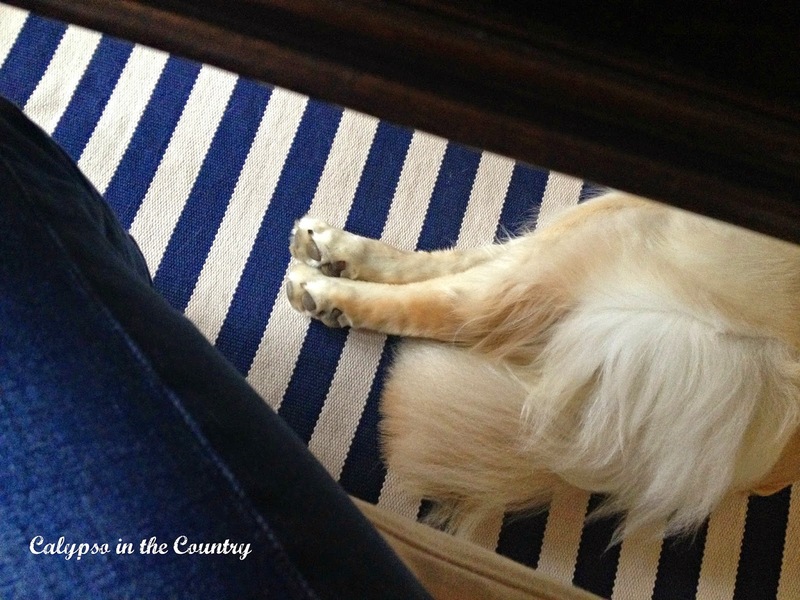 Outdoor rugs really are a practical solution for busy households with kids and pets!